Panoramique de l’immatériel – by Joshua Reiman 2015 from Joshua Reiman on Vimeo. Panoramique de l’immatériel, 2015 is a 23-minutes film that deals with themes of exploration, artistic expression, race, nature, and contextual inquiry. The short film follows a man who is panning for gold along the Seine River in France, from Paris to the sea. He is looking to find the gold that the artist Yves Klein dumped into the Seine in Paris during on of the most seminal conceptual artworks in contemporary art history, Zones of Immaterial Pictorial Sensibility. 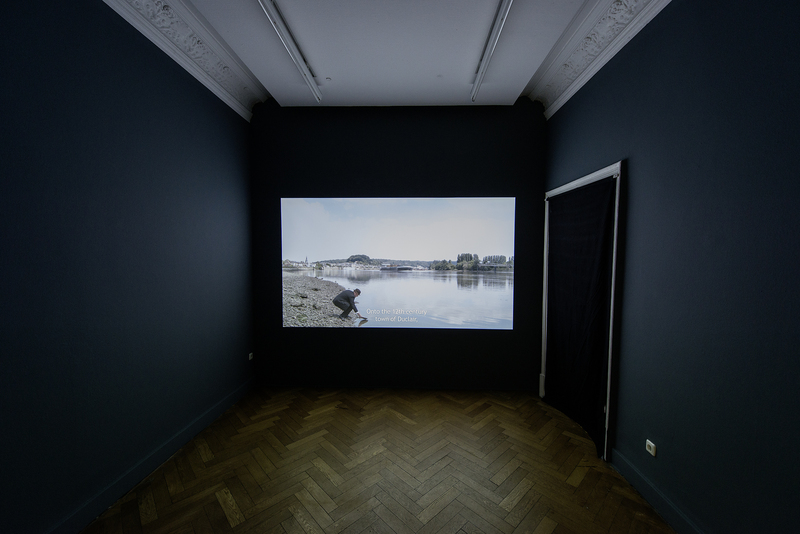 This film explores conceptual art, geology, and the riparian zone, where the river meets the land along The Seine all on equal terms by changing scales and relationships between art and landscape. This project was supported in part by funding from the Frank-Ratchye Fund for Art @ the Frontier (FRFAF) — an endowment founded to encourage the creation of innovative artworks by the faculty, students and staff of Carnegie Mellon University. With this fund, the STUDIO seeks to develop a cache of groundbreaking projects created at CMU — works that can be described as “thinking at the edges” of the intersection of disciplines. Joshua Reiman is an artist working in sculpture, film, video and photography. His work has been exhibited in galleries and museums across the United States, in Germany and in Estonia.